In 1741 the Norwegian-Danish author Ludvig Holberg published Klimii Iter Subterraneum, a satirical science-fiction/fantasy novel detailing the adventures of its hero Niels Klim in a utopian society existing beneath the surface of the earth. Peter Fitting, author of Subterranean Worlds: A Critical Anthology, explores Holberg’s book in the wider context of the hollow earth theory. 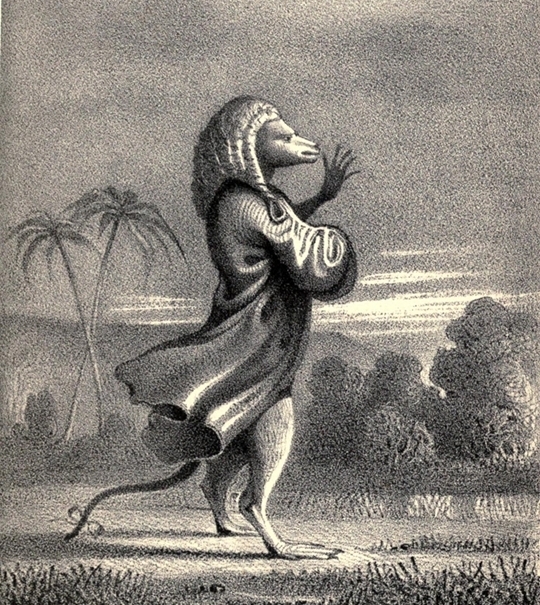 Illustration showing a citizen of Martinia wearing a wig, from the 1845 English edition of Niels Klim’s Journey Under the Ground. I declare that the earth is hollow and habitable within; containing a number of solid concentric spheres, one within the other, and that it is open at the poles twelve or sixteen degrees. I pledge my life in support of this truth, and am ready to explore the hollow, if the world will support and aid me in the undertaking. The fortunes of the idea that the Earth was “hollow and habitable within,” from classical references to the underworld to esoteric and New Age writers today, have been recounted elsewhere, most notably by Walter Kafton-Minkel in his Subterranean Worlds: 100,000 years of dragons, dwarfs, the dead, lost races & UFOs from inside the earth (1989). 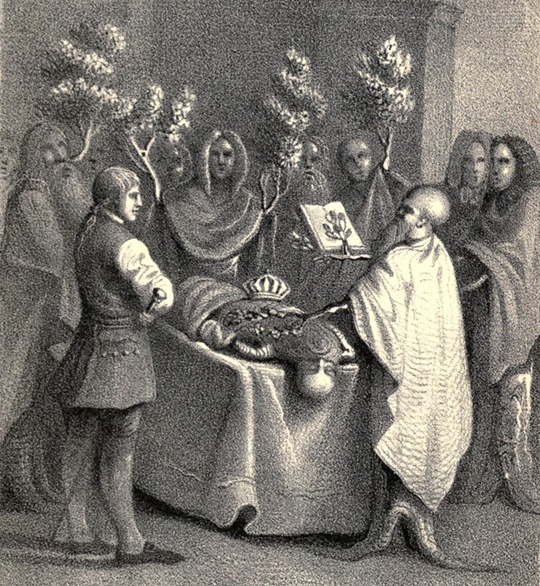 Symmes’s theories led to a number of fictional visions of the “world within”, most immediately, Adam Seaborn’s 1820 novel Symzonia – a work which has often been attributed to Symmes himself; and the novel with its diagrams and drawings was for some time cited as evidence that the world is hollow. In a somewhat different way, Symmes’s conviction that there were openings at the poles also led to the establishment of perhaps the most famous American naval scientific expedition, the “United States Exploring Expedition” which was commissioned to explore the South Pacific and led to the establishment of a national museum of natural history – the Smithsonian Institute. (The history of the expedition and its origins in Symmes’ ideas is recounted in William Stanton’s 1975 The Great United States Exploring Expedition of 1838-1842). While it is perhaps relatively easy to follow the theories of inner cavities or of a passage between the poles (in writers like Thomas Burnet and Athanasius Kircher in the late 17th century), and to see their relationship to a text like the anonymous 1721 Relation D’Un Voyage Du Pole Arctique Au Pole Antarctique Par Le Centre Du Monde, (which describes a channel running through the Earth from pole to pole), it is much more difficult to understand how the idea of the hollow Earth emerged as part of Halley’s explanation of the motion of the magnetic poles. Even more inexplicable is the depiction of the hollow earth some fifty years earlier – complete with inner sun and earth – in Ludvig Holberg’s 1741 subterranean utopia, The Journey of Niels Klim to the World Underground. This is a far greater imaginative leap, for instance, than Jules Verne’s well-known account of a descent into the bowels of the earth through a dormant volcano (Voyage au centre de la terre, 1865). Verne’s narrative of the discovery of a vast underworld cavern formed during an earlier geological period seems much more plausible than Holberg’s invention of two entire inner worlds – one a planet inhabited by intelligent trees, the other the underside of the earth’s crust, as vast as the outer crust on which we live, and populated with a fantastic variety of intelligent life forms. First published in Latin in 1741, The Journey of Niels Klim to the World Underground, with a new theory of the Earth and the History of the previously unknown Fifth Kingdom (Nicolai Klimii iter subterraneum, Novam Telluris theoriem ac Historiam Quintae Monarchiae adhuc nobis incognita exhibens) was quickly translated into a number of European languages. (The first English edition dates from 1742). 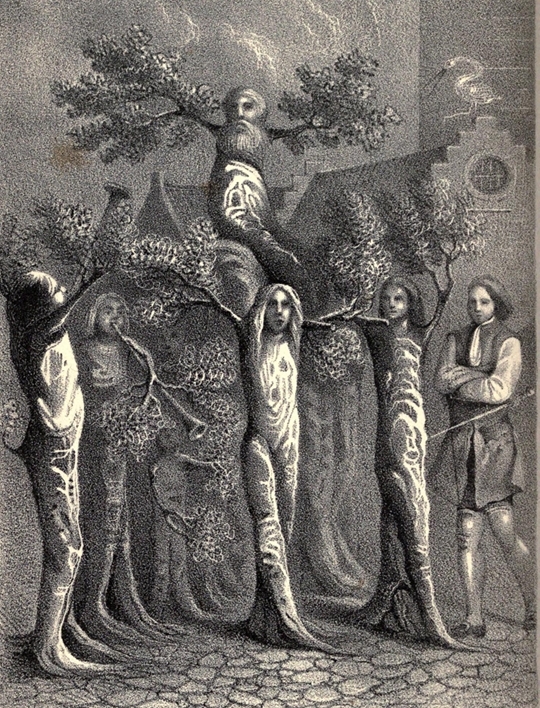 As with Verne’s Voyage, the adventure begins with the descent into a cave, although here the hero falls through a hole into the subterranean world, discovering: “that the conjectures of those men are right who hold the Earth to be hollow, and that within the shell or outward crust there is another lesser globe, and another firmament adorned with lesser sun, stars, and planets”. On the central planet, Klim discovers a happy and prosperous utopian land of intelligent, mobile trees. In his subsequent travels around the planet Klim encounters many bizarre varieties of intelligent trees, and each species forms a separate social grouping. It is these sections of the novel that have earned Klim a place in the history of utopia. But in the final sections of the work Holberg turns from utopia and social satire to fantasy: Klim is expelled from the utopian land of Potu to the underside of the earth’s crust which is inhabited by many other fantastic creatures, all of which – plant and animal species alike – are intelligent and gifted with speech; and then he discovers a race of human savages, who, of all the creatures of the subterranean world, “alone were barbarous and uncivilized”. Klim takes it upon himself to civilise them, and uses his knowledge to manufacture gunpowder and to conquer all of the countries of the firmament, becoming a tyrant – the “Alexander of the Subterranean world”. When his subjects eventually rebel, he is forced into flight and falls into the same hole through which he had previously fallen, thus returning to Norway. The Journey of Niels Klim was widely known in the 19th century: the narrator of Edgar Allen Poe’s “The Fall of the House of Usher” includes the “Subterranean Voyage of Nicholas Klimm” among his readings, while the poet Thomas de Quincy began a translation of Klim sometime in the mid-1820s. Giacomo Casanova (better known for his Memoirs) wrote a lengthy subterranean utopia — L’Icosameron (1788) — in which he acknowledges the importance of Holberg’s novel; while Mary Shelly mentions in her diary that she read Klim as she was writing Frankenstein. Fictional settings inside the earth can be found throughout the 19th and 20th centuries – from Edgar Allen Poe’s “Ms. found in a Bottle” (1833) and his unfinished “Narrative of A. Gordon Pym” (1837), through to Edward Bulwer-Lytton’s The Coming Race (1871), Edgar Rice Burroughs’ Pellucidar novels, beginning with At the Earth’s Core (1922); and more recently there are authors like Raymond Bernard and William Read who continue to argue that the Earth is hollow. Born in Bergen, Norway at the time of the Dano-Norwegian monarchy, Ludvig Holberg (1684–1754) is probably the most European of Scandinavian writers before Ibsen and certainly the best known; he is often referred to as the “father” of Danish and Norwegian literature. He was a writer, essayist, philosopher, historian and playwright who travelled extensively throughout Europe and is often credited as bringing the Enlightenment to the Nordic countries. In fact, the author of The Journey of Niels Klim was far better known for his “Introduction to Natural and International Law“ and his theatre (he has been described as the “Moliere of the North”). Like Jonathan Swift’s Gulliver’s Travels (1726), Klim is a combination of social satire, utopia and the fantastic. But Swift’s shipwrecked narrator is a much more familiar (and plausible) utopian narrative device than is Holberg’s imagination of a hollow earth. Holberg never explains who “those men … who hold the Earth to be hollow” are, and none of his critics have been able to identify them. As long as Holberg’s sources continue to be a mystery, The Journey of Niels Klim to the World Underground must be considered the first presentation of the idea of the hollow earth. Peter Fitting is professor emeritus of French and Cinema Studies at the University of Toronto. His work has focused primarily on utopian fiction and on 20th century science fiction. In 2004 he published: Subterranean Worlds: A Critical Anthology, (Wesleyan UP). For more information on these topics and samples of his work see: The Society for Utopian Studies and Science Fiction Studies. Images from other editions of Klimii Iter Subterraneum courtesy of Bergen Offentlige Bibliotek. 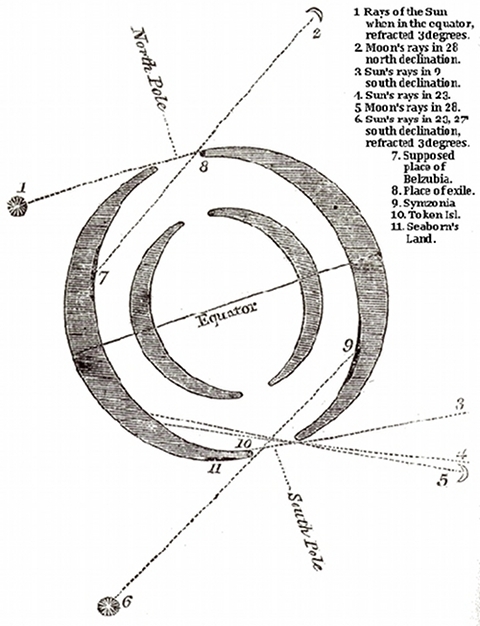 An Account of the Cause of the Change of the Variation of the Magnetical Needle; With an Hypothesis of the Structure of the Internal Parts of the Earth: As It Was Proposed to the Royal Society in One of Their Late Meetings (1753) by Edmond Halley. Narrative of the United States Exploring Expedition. During the years 1838, 1839, 1840, 1841, 1842 (1845) by Charles Wilkes. 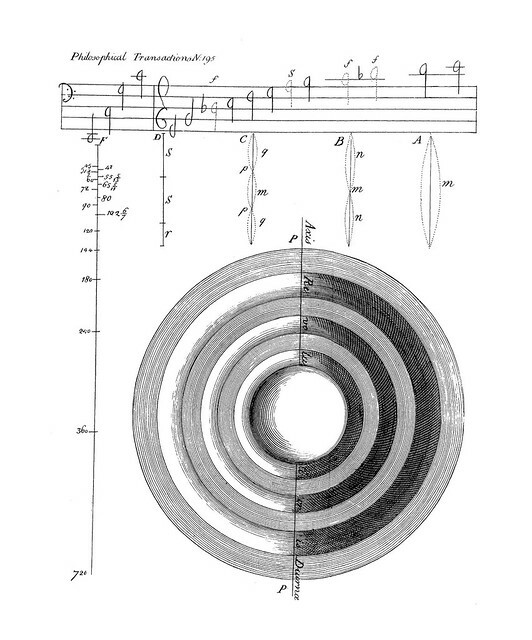 Symmes’s theory of concentric spheres : demonstrating that the earth is hollow, habitable within, and widely open about the poles (1826) by James McBride. Symzonia: A Voyage of Discovery (1820) by Captain Adam Seaborn.